​The Kentucky Wildcats are reeling following their massive defeat at the hands of the Duke Blue Devils. But now, they are dealing with a scandal stemming from a bribery scandal. 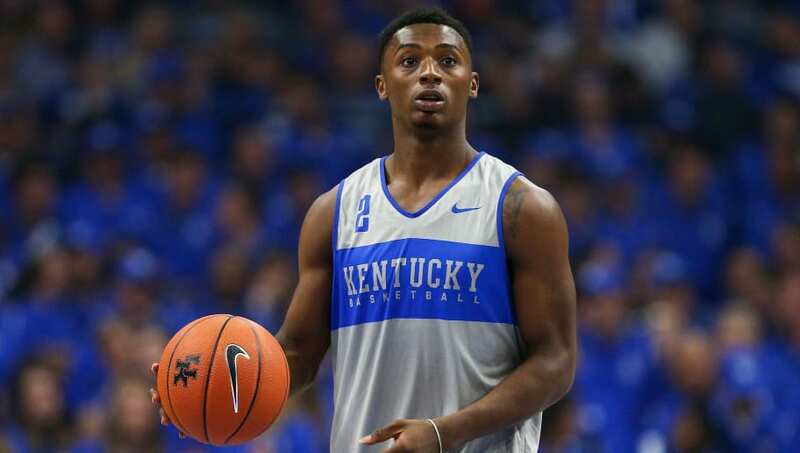 The FBI has handed the NCAA a scandal document, which links former Wildcat Jarred Vanderbilt and current Kentucky player Ashton Hagans to a business plan by ​agent Christian Dawkins. Hagans and Vanderbilt were two of 19 players who Dawkins planned to pay, according to ESPN. ​Dawkins was found guilty on charges of wire fraud and conspiracy to commit wire fraud last month. Now, the NCAA has been given approval to further their investigation on rules violations. ​​An email by Dawkins was obtained by the FBI, which detailed his plan on paying numerous players. Dawkins wanted to give Vanderbilt's family $30,000 in travel expenses to watch him play games, as well as giving his father a $25,000 signing bonus if Vanderbilt went pro. Dawkins would also make a proposition to give the current member of the Denver Nuggets a $100,000 line of credit and a $25,000 advance on his marketing revenue. As for Hagans, he was a target for Dawkins as a potential client. According to his email, he offered to give Hagans $2,000 a month from Oct. 2017 to Oct. 2018, and $3,000 monthly through the 2020 season. Dawkins also targeted Cleveland Cavaliers rookie Collin Sexton and No. 1 high school prospect James Wiseman of Memphis. While both Hagans and Vanderbilt were named in the document, it does state as to whether both players accepted Dawkins' offers.